In 1967, the biologist Roger Payne discovered mysterious, unusuals sounds in the ocean that he described as "exuberant, uninterrupted rivers of sound." What he soon found out was that the sounds were produced by none other than the ocean's largest inhabitants: whales. Payne released some of these recordings in 1970 as an LP called "Songs of the Humpback Whale." The groundbreaking collection was an instant hit: it rocketed to the top of the charts, and kicked off the momentum for the "Save the Whales" movement. The LP, which sold over 100,000 copies, was one of the most important elements in gaining global public exposure for whales. In the interests of full disclosure: I am opposed to killing dolphins and whales, though I accept the fact that what you eat is a matter for you and your country to decide, not for me and mine. I am, nevertheless, saddened by the fact that just at the time when we in the rest of the world ought to be coming forward to help your country most strongly and willingly, these practices are triggering a major reduction in compassion internationally-a decline that is caused for what I imagine is a very small return. While the hunt is driven mainly by the demand for dolphins and whales in captivity, some meat is consumed, despite its dangerously high mercury levels. What's more, activists in Japan say that most Japanese citizens are unaware that the dolphin slaughter even occurs. Payne, who has studied marine contaminants and pollution for decades, goes on to point out the threat that these hunts pose to human health. But the worst damage the dolphin hunt does to your people is done to those who eat the meat. My institute, Ocean Alliance, has spent most of the past 20 years studying the effects of toxic metals and man-made pollutants on ocean life. 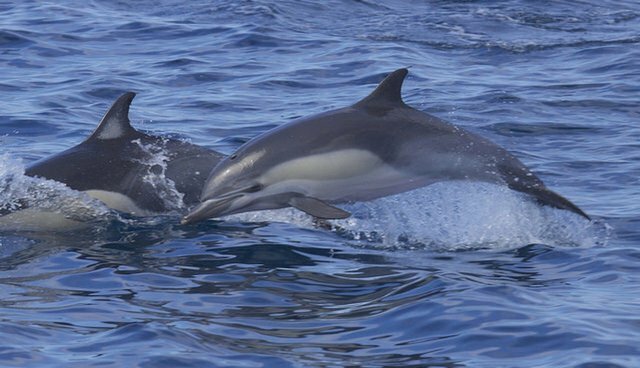 Our research vessel Odyssey circled the world and sampled over 900 whales, dolphins and porpoises from all oceans. It produced the first global assessment of toxic metals and toxic pollutants in animals that feed highest on ocean food chains. We found such animals are so contaminated by the concentrations of synthetic chemicals and toxic metals that many are already unsafe for human consumption. Despite the warning from Payne and others like Caroline Kennedy and Sylvia Earle, the hunt in Taiji continues. On Tuesday, a pod of 17 Risso's dolphins was slaughtered in the cove. See this page for everything you can do to stop the hunt. Roger Payne also gave a fascinating TEDx Talk in 2013 about his discovery of whale songs and the threats facing ocean life - find that here.